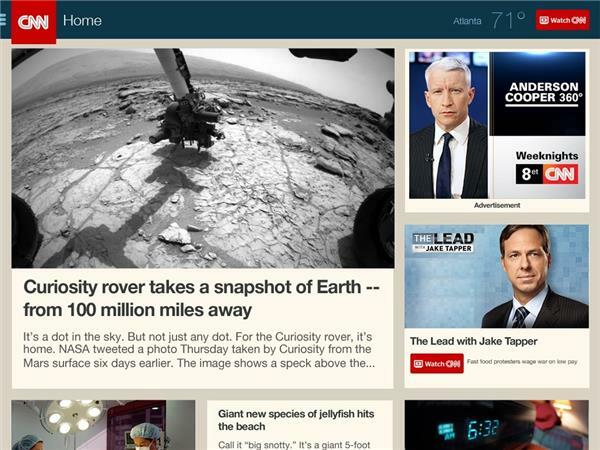 What do you think of the new CNN iPhone & iPad apps? On Tuesday, we released updates to our CNN apps for the iPhone and iPad. this link for the iPhone and this link for the iPad. Many of these updates are based on user feedback, so thank you for your comments. At the end of this article, you can give your opinion on the new features by voting in polls and also leaving comments. You can also e-mail your comments to iphone@cnn.com, ipad@cnn.com or tweet a comment or question to @CNNMobile.